NORTH-END VINTAGE home in move-in condition with original wood floors, authentic hardware and clawfoot tub. Convenience and practicality added with 1980&apos;s addition including new kitchen, family room, main floor bedroom and full bath, 1st floor laundry and walk-out lower level theatre room. Updated 6 year old roof, dual HVAC systems, new water heater, 2 detached garages (double car garage with covered breezeway to home and 1 1/2 heated garage off alley). 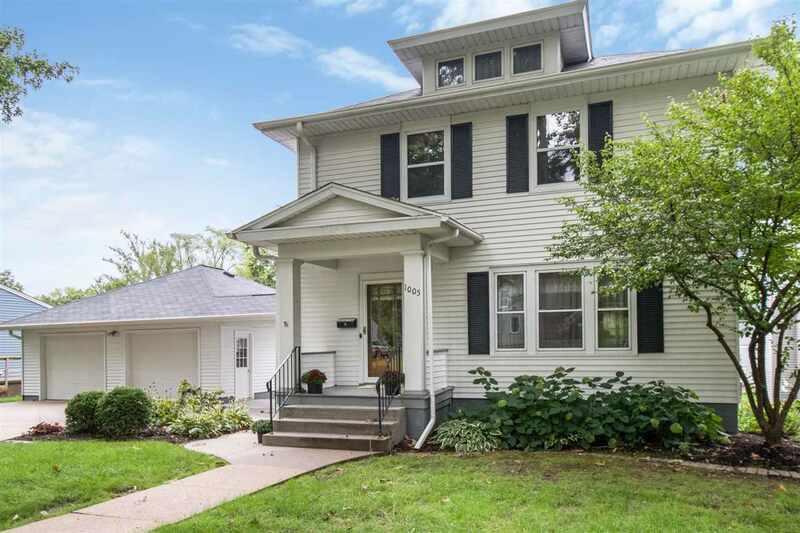 Ideal Iowa City location close to town and campus. Selling Office: Westwinds Real Estate Services, Inc.